Make a dramatic statement with glass! Your front door makes a first impression and sets the tone of the rest of the house. Whether you want to surround a solid entry door with decorative glass windows or install a new door with glass inserts, Katy Window Company can help. We offer a huge selection of interior doors ranging from mirrored wardrobe doors to decorative wooden doors. Bring the outdoors one step closer by investing in beautiful patio doors. We carry everything from standard glass sliders to French doors and sliding glass patio doors with blinds inserted in between the panes. 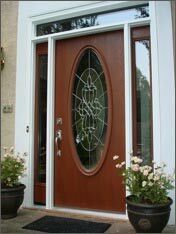 No matter what type of door you have in mind, Katy Window Company delivers! 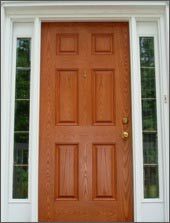 We work closely with all clients to ensure a door style appropriate to the home as well as to your budget. When installed in conjunction with replacement windows, our consultants will work carefully with you to design windows and door replacements that complement each other.